1 Warwick House01263 715779work01603 870304fax Self-cateringA wonderful holiday hideaway located in the centre of Cromer moments away from the beach and the iconic victorian Pier. This modern stylish property is set over two floors and is beautifully furnished providing comfortable accommodation for family and friends. 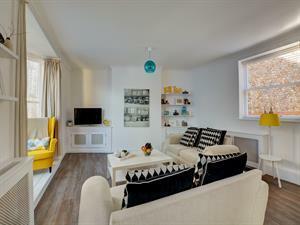 A wonderful holiday hideaway located in the centre of Cromer moments away from the beach and the iconic victorian Pier. This modern stylish property is set over two floors and is beautifully furnished providing comfortable accommodation for family and friends.